I like to try new breakfasts and snacks during the weekend, which are often inspired by other blogs I follow or recipes that I find online or by browsing through my cook books. 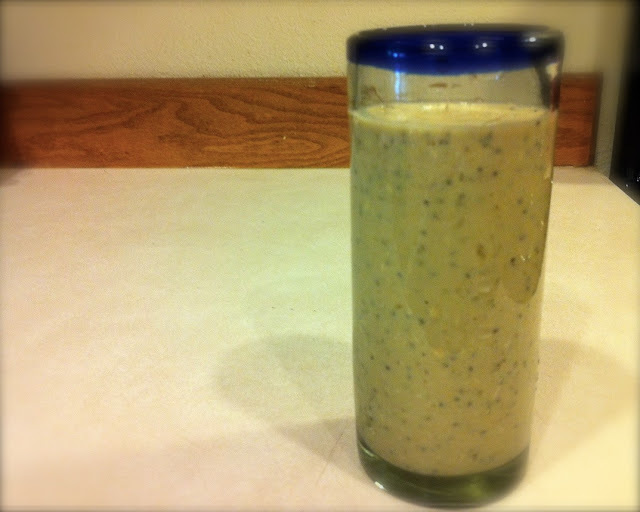 A peanut butter smoothie recipe was shared by ohsheglows.com during the week and got me thinking that this would be an easy post workout breakfast that is high in protein and could be easily modified to what I have in my cupboards and fridge. After a long ride on the stationary bike and a run on the treadmill Saturday morning, I couldn't wait to get home and try this smoothie. Combine all ingredients in a blender and mix until smooth. Add ice if desired. The smoothie was a winner. 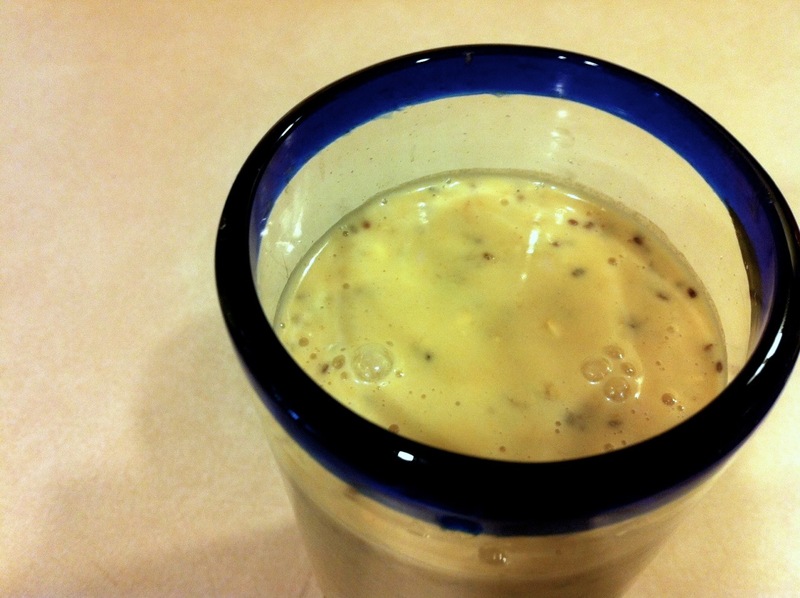 The combination of almond milk and peanut butter provided the perfect consistency and the addition of the banana and the slight touch of vanilla added the perfect flavor. I did add a couple cubes of ice to reduce the thickness of the smoothie; however, if I were having this smoothie for a snack, the creamier texture would have been desired. What may become a staple breakfast option, I am excited to try different variations of the smoothie, possibly adding flax or using blueberries or strawberries in place of the banana.